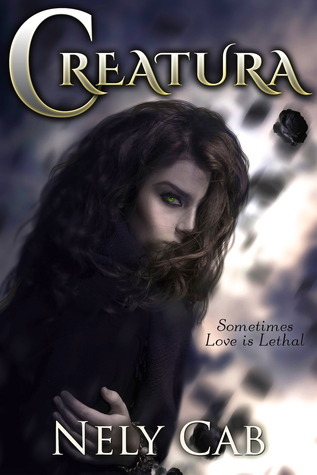 Today, I'm so happy to be a part of the Xpresso Book Tours Blitz for Creatura by Nely Cab! I've got all kinds of awesome info for you about this book and in addition, I also have an interview, and I'll be doing a GIVEAWAY for an e-book copy of Creatura. 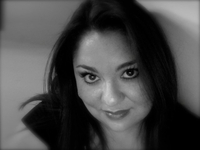 As part of the blitz, I've got an interview with Nely Cab for all of you! 1. Can you tell our readers a few details about you? Where you were born? Do you have any brothers? Where have you spent your childhood? I was born in Matamoros, Tamaulipas, Mexico on December 9, 1974 (yes, I am old. LOL!) I have one brother who is six years younger than me and one sister who is 16 years younger than me. Although I was born in Mexico, I have lived in Texas since I was an infant. 2. What was your favorite game as a child? I used to like to play “make-believe” or pretend with my cousin. He would pretend he was my pet monkey or dog and I would treat him like an animal. LOL! It sounds very mean now, but it was a fun game. I was only four-years-old, then. 3. How did you spend your time, as a child, and later, as a teenager? Did you love hanging out with friends, going on a concert or staying at home, writing and reading? When I was a kid, I loved hanging out with my best friend and my cousins. We would play with our dolls or play outside. During my child hood I loved to read, but it would put me to sleep. Later, in my teen years, I liked going to the movies and to the mall with friends and talking on the phone or watching television. I wasn’t much of a party animal. My parents were very strict, so I wasn’t allowed to be out too late. I would sometimes go to football games on Friday nights with my cousin and some friends. I didn’t write much when I was a teenager. I would imagine a lot stories and knew someday, when I had the time and was older, I would write them. Since I had so much reading to do for school, I never really read books for pleasure. Shame on me. 4. Who was/is your life model? I don’t think I have one because I admire different things from different people. 5. Do you love animals? If yes, do you have any pets? I like animals, but I cannot have any in my home because we are all allergic to them. 6. What place in this world would you love to visit most? You travel a lot? I would love to visit the entire world. I cannot commit to telling you that I would prefer one place over the next because there are so many beautiful things to see everywhere. I don’t travel very much – maybe, once a year. 7. What’s your favorite place for writing/reading? So, if you're thinking to yourself that this book sounds AWESOME (I think it sounds awesome) and you absolutely must have a copy for yourself, you can enter my giveaway for your very own e-book copy of Creatura!